The present tense indicates an action that is either recurring, habitual, or a general truth, a so-called eternal verity. Siempre tenemos un Mexican Thanksgiving, que tiene que haber nachos, y tiene que haber frijoles, eso es muy traditional para nosotros. We always have a Mexican Thanksgiving, where you must have nachos, you must have beans, this is very traditional for us. The present tense endings differ according to the verb category. 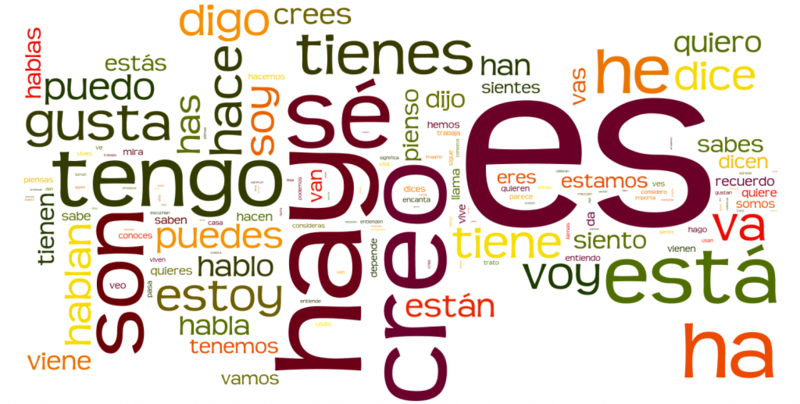 In Spanish regular verbs can be classified into 3 main groups: -ar, -er, and -ir. There are 4 main types of irregular verbs in the present tense: stem changers, irregulars in the yo form, irregular in all forms, spelling changers. g > j: Verbs whose infinitive form ends in -gir change the g to j before an a or an o.
gu > g: Verbs whose infinitive form ends in -guir drop the u before an a or an o.